This week begins with clear skies, record-breaking temperatures and a super full moon, making it a great week-end for Heaven Evenings in the Puget Sound region. With a clear sky forecast, record breaking temperatures, and a full-moon synchronized spring debut, it could be a great week for sky-filled evenings in the Puget Sound region. 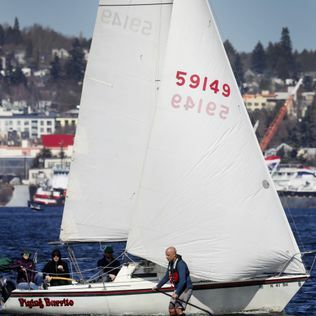 The warm days, which started late last week and broke records on the weekend, continue through the work week, according to Samantha Borth, a National Weather Service meteorologist in Seattle. 988; 71 degrees in Hoquiam, broke his 1956 record of 65; and 63 degrees in Bellingham, where the previous 62-degree record was set in 1995 according to the Weather Service. Borth said the high-pressure ridge in the area meant we probably have warm temperatures and sunny skies Tuesday, when more records could be set in warm weather. Temperatures will cool on Wednesday and the downturn will continue Thursday and Friday, though it is expected to stay sunny and clear. Rain is possible on weekends, Borth said. Wednesday, March 20, is the first official spring day. It's the first time in nearly 40 years that the full moon following the almanac of The Old Farmer is so closely related to the spring equinox. The Moon, the third and last supermoon of the year, appears bigger and brighter than usual because it's closest to Earth during our 28-day elliptical orbit around our planet. This was referred to by some Native Americans as a "full worm moon," according to the farmer's Almanac occurrence of earthworms, birds, and early spring.